Have you seen Moonlight? This movie has so many feels in it and it was such a powerful movie. The movie is based on the play Moonlight Black Boys Look Blue by Tarell Alvin McCraney. It won three Academy Awards, including best supporting actor, best adapted screen play and best picture. The movie follows the main character of Chiron. There are three segments of his life shown in the movie. It starts with him as a boy, later as a teenager and then finally as an adult. The representation shows his dysfunctional family life and how he identifies with society. However the movie also shows how he copes with being a gay black man and him struggling with his sexuality. I am not doing this justice with this synopsis, but it is a great movie. I loved it and I am so happy that it won the academy award for best picture. It deserved it and I want to see it again. Did anyone else watch it? What did you think about it? Moonlight - Trailer - Indie Distributor A24 Production - WOW This Looks Great! 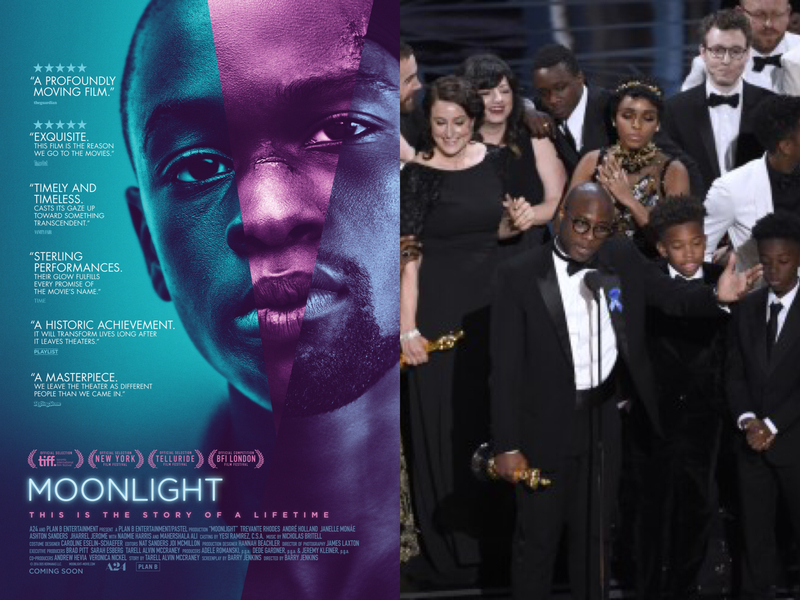 One comment to Moonlight Won Best Picture at the Academy Awards 2017! I have yet to watch it. I feel like I should.